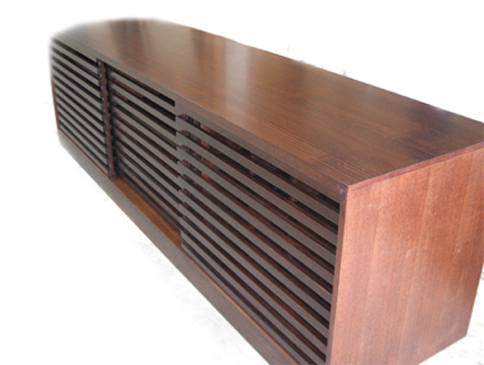 This Tas Oak entertainment unit has a unique appearance with the request of slat style sliding doors. Behind the doors are component shelves as well as media storage drawers. The slat doors enable excellent air flow as well as good remote pickup. 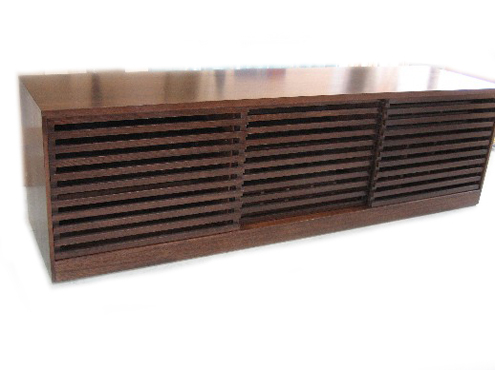 The finish is in custom walnut stain and 2 pack satin lacquer.